Famously unabashed, W. Eugene Smith is photography's most celebrated humanist. During his reign as a photo-essayist at Life magazine in the 1940s and 1950s, he established himself as an intimate chronicler of human culture. His photographs of jazz musicians, disasters, doctors, and midwives revolutionized the role that image-making played in journalism, transforming photography for decades to come. In 1997, lured by the intoxicating trail of people that emerged from Smith's stupefying archive, Sam Stephenson set out to research those who knew him from various angles. 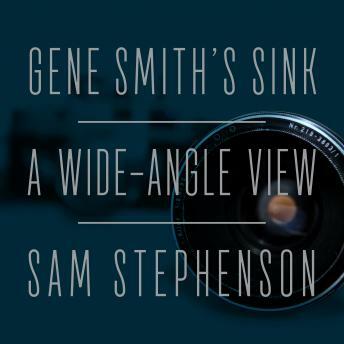 In Gene Smith's Sink, Stephenson revives Smith's life and legacy, merging traditional biography with highly untraditional digressions. Traveling across twenty-nine states, Japan, and the Pacific, Stephenson tracks down a lively cast of characters, including the playwright Tennessee Williams, to whom Smith likened himself; the avant-garde filmmaker Stan Brakhage, with whom he once shared a chalet; the artist Mary Frank, who was married to his friend Robert Frank; and Thelonious Monk and Sonny Clark, whom Smith recorded on surreptitious tapes.